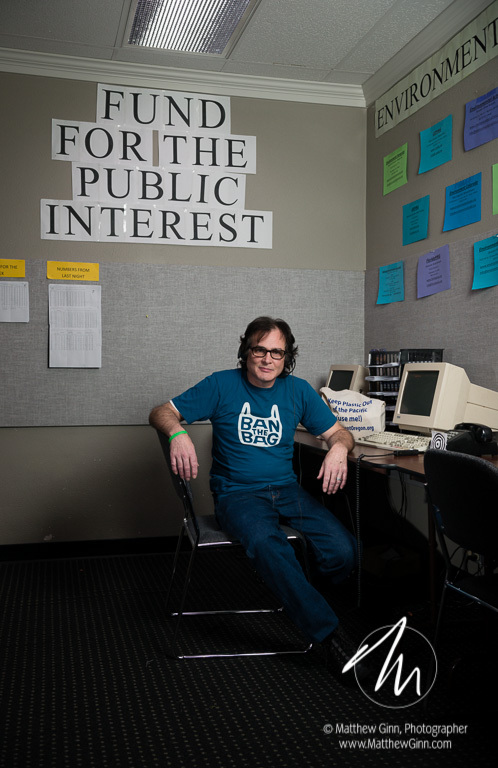 Ken Eshelman is a staff member of the Fund for the Public Interest, which is an umbrella fund-raising organization for the members of the Public Interest Network. The PIN is an association of environmental and progressive organizations covering most of the United States. I photographed Ken in a couple of different outfits in the call center his organization was temporarily working from while their offices were renovated. 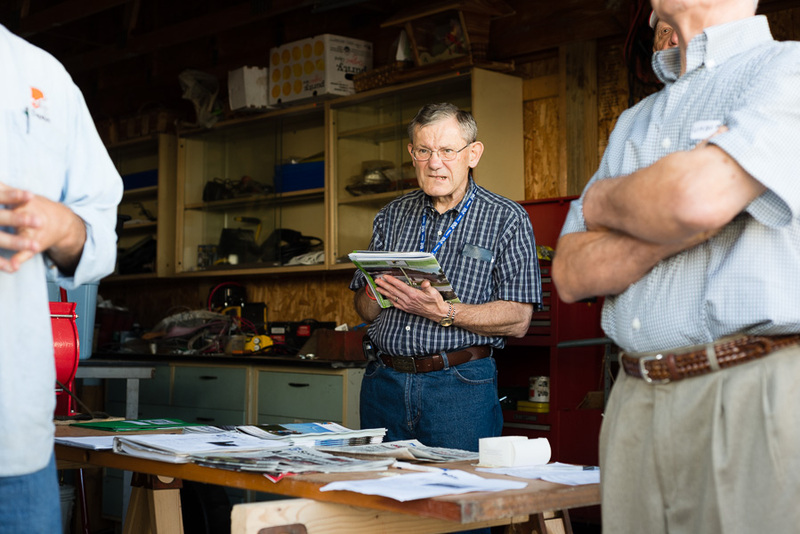 We got a number of good shots from the session, but I particularly like this one because it has the space to show Ken and his work environment. I think you really get a sense for what he’s about. 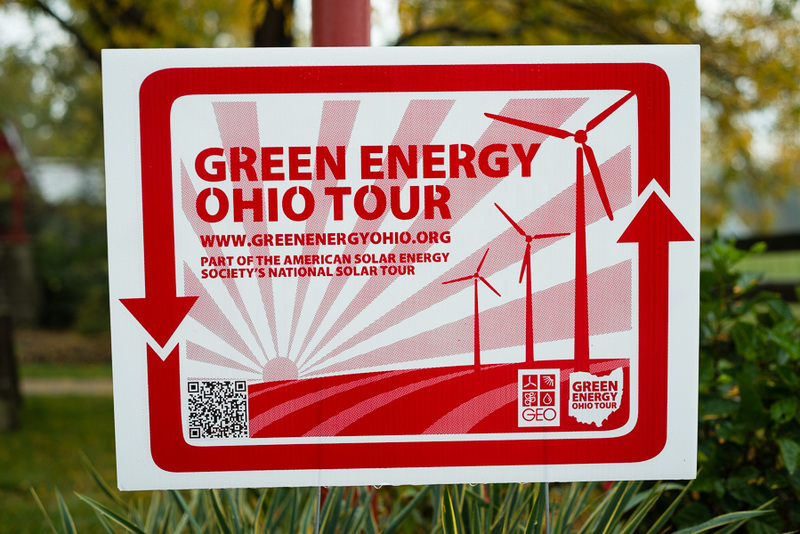 Sticking with the environmental theme for a minute, but shifting from Oregon to Ohio, I had the opportunity to photograph part of the 2013 Green Energy Ohio Tour in October. 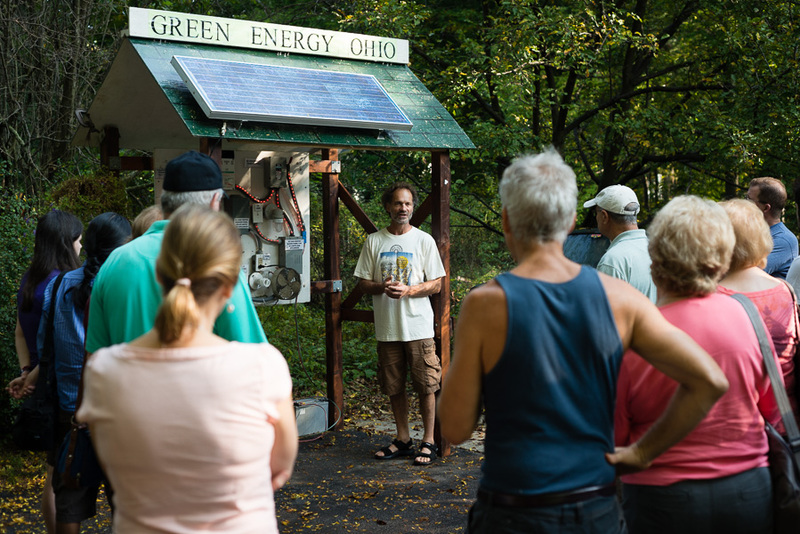 Here, solar energy enthusiast Tom Rapini teaches a busload of tourists the basics of photovoltaic circuits. I produced a whole photo essay covering the tour, but this picture stands out as the one that summarized the whole story in a single frame. 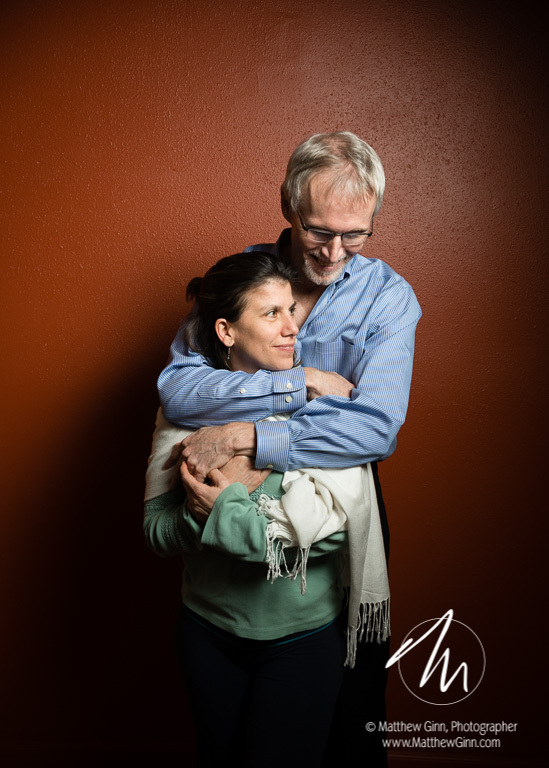 Back in January, I was asked to photograph Jay Gregory and Sarahjoy Marsh in preparation for a Valentine’s Day story. The couple conduct a workshop called “Learning to Love” at the Daya Foundation in Portland. They had warned me that they were a bit awkward in front of the camera, and that was evident from time to time, but in this frame I think we caught a beautiful, tender, genuine moment. Add the convenient red wall from a vacant office in their building and voila! 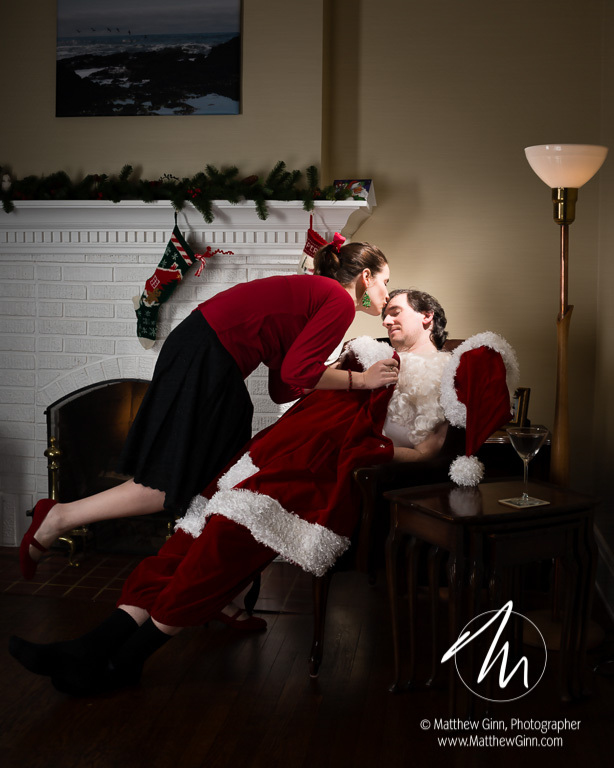 Speaking of tender moments, I’m particularly happy with our Christmas photograph from this year. 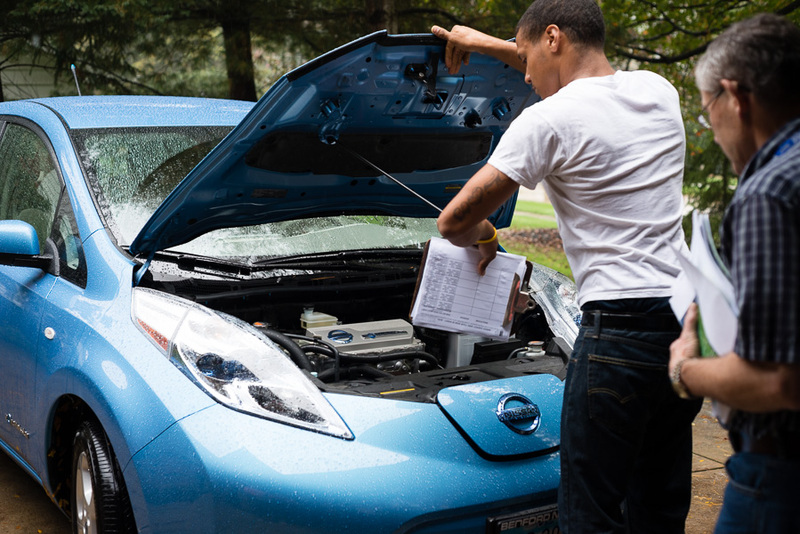 Obviously it’s more staged than most of my work, but I like it because we were able to come up with a story and execute the photo almost flawlessly. Part of being a good photographer is having a plan, but I don’t mind admitting that serendipity can make the difference between “meh” and “nice!”. Like my portrait of Ashley Carroll, who has the wonderful government job title of “Abuse in Later Life Project Coordinator for the Children, Youth & Families Division of Clackamas County’s Health, Housing & Human Services Department.” As with much of my work, I hadn’t met Ashley or seen the location until I arrived at the shoot at a community center in Oregon City. All of the potential backdrops were covered in signage, educational posters or windows, except for this one accordion wall that divided a large meeting room in two. 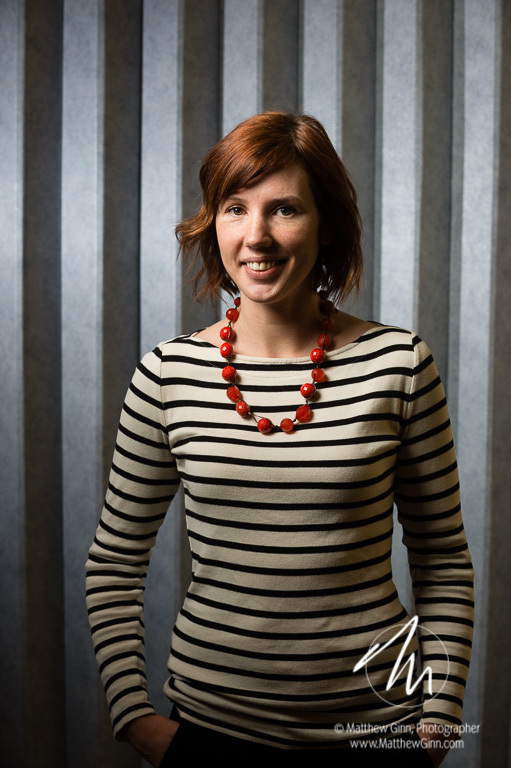 With one light splayed across the accordion wall it made for an interesting contrast with the horizontal stripes of the shirt Ashley had chosen to wear that day. The color of her hair and necklace offset the otherwise monochromatic photo perfectly. 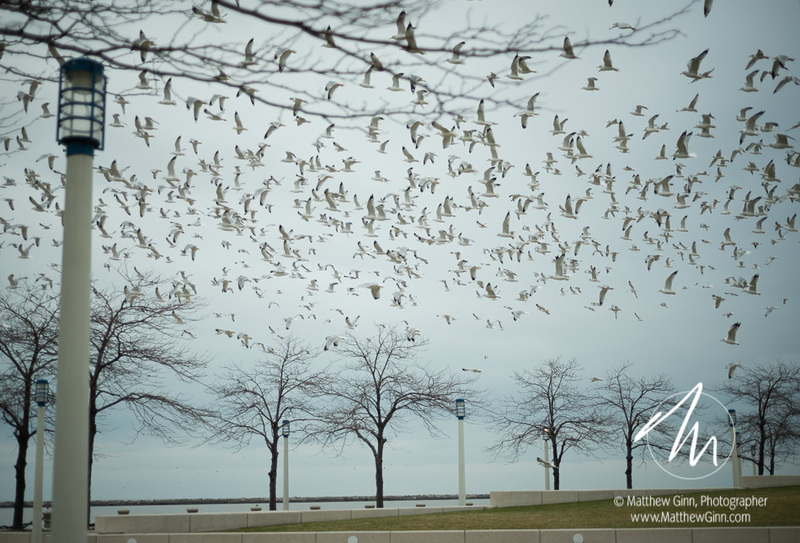 In another example of fortune meeting preparation, back in January, on a pre-move visit to Cleveland, I brought my camera down to Voinovich Bicentennial Park on Lake Erie. After snapping a bit of this and that I saw a huge flock of seagulls sitting on the grass nearby. It looked like there might be an interesting photo there, so I slowly approached the flock, making pictures as I went, wondering how close I could get before they were disturbed. I got my answer before I got close enough to capture the picture I had envisioned. All of a sudden the whole flock—several hundred—took to flight around me. I instantly realized that this picture would be better than the one I had been working on (not that I had a choice), and started hitting the shutter, trying to frame something nice before the flock dissipated or got too far away. This is what I got, something that, I think, captures a drab wintery day on the Great Lakes pretty well. 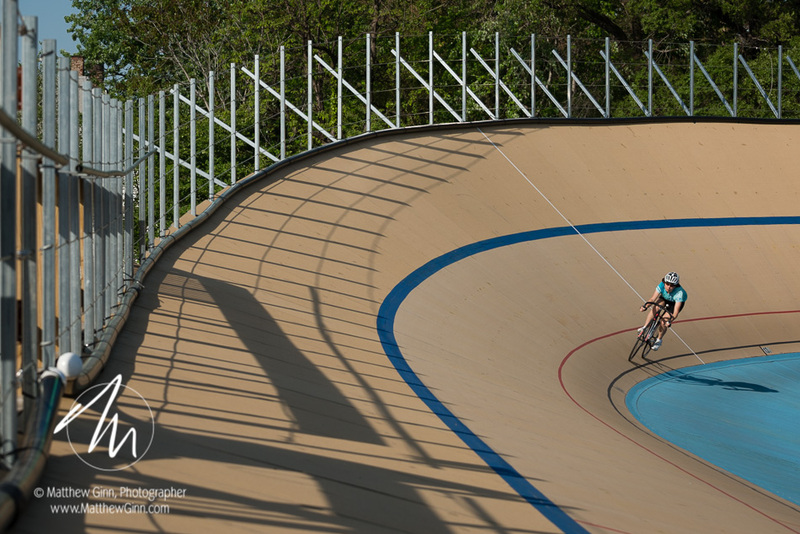 In contrast to the seagulls is my photograph of cyclist Daniela Mehech on the track at the Cleveland Velodrome on a scorching day in May. This image was actually part of a photo essay I made that evening. Track cycling is fun to watch and photograph, because there are great lines and lots of little dramas in the action. 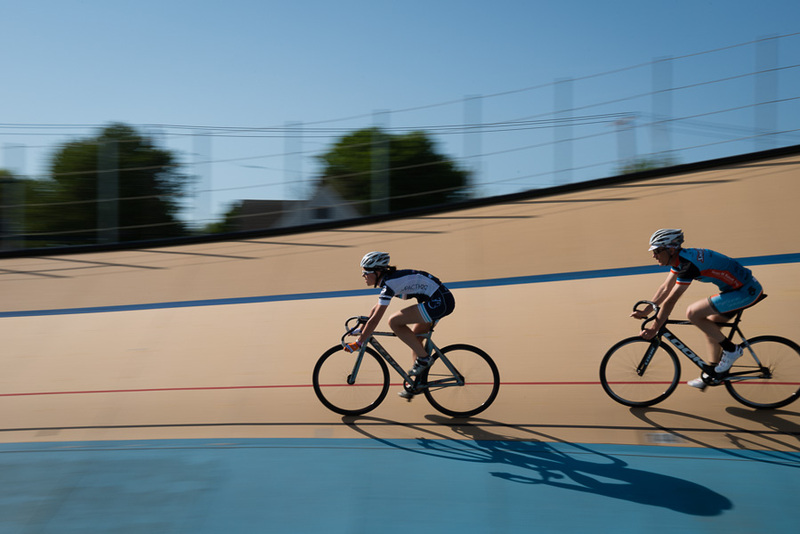 Some of the most dramatic action comes in races where you have multiple cyclists on the track at once, but for the riders, much of the work is done on the track alone. I like the way this photo captures that solitude. I don’t often work in black and white, but sometimes that is the right answer. I like this portrait of Dr. Patrick Catalano for its simplicity, and how it captures a fairly reserved man pretty honestly. Back in June I did a series of photographs of doctors and scientists for MetroHealth’s Center for Reproductive Health. 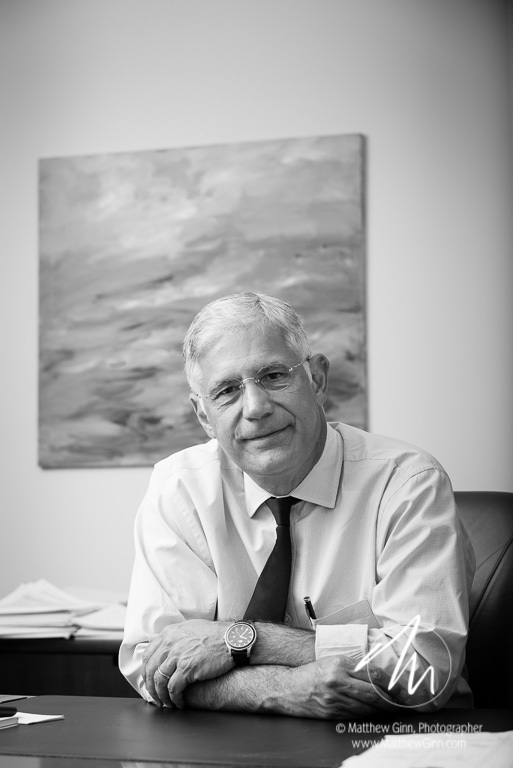 The above portrait of Dr. Catalano was one. 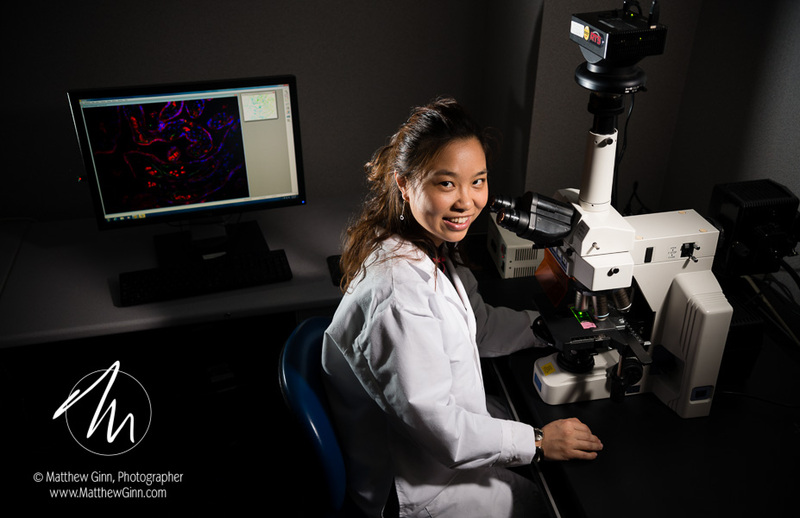 My other favorite from that shoot was this picture of Dr. Judy Yang at the microscope. Tucked in a tiny, dark room, this was one of my most technically difficult photos of the year. We had to balance the ambient light from the computer monitor with the strobes to light our subject. The main light was stuck on a stand protruding through the doorway. I stood up on a step stool or table or something to look down on her. It wasn’t quite right, though, until we added a secondary light (tucked just out of the frame to the left) to highlight her hair. The best part was that the same light also gave a rim to the computer monitor and gave some depth to the space behind the microscope. Three benefits from one little light! 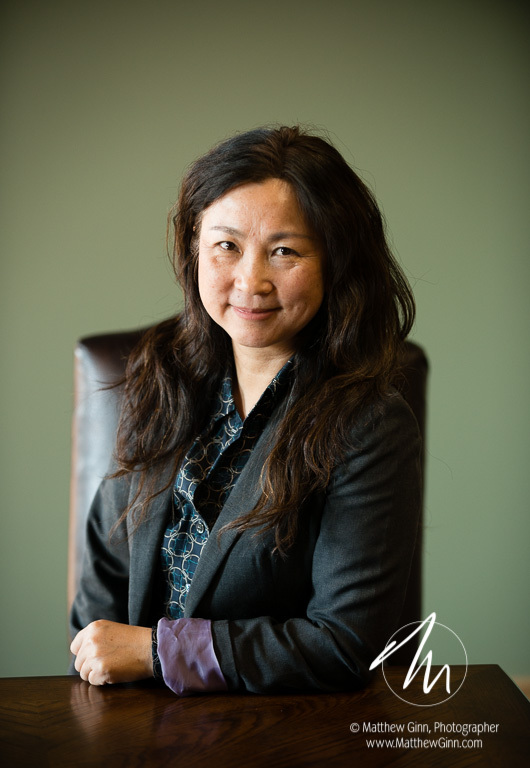 In stark contrast to the previous photo’s lighting challenges, this portrait of Dr. Chan Wang was a breeze: no supplemental lighting at all! The light in her office and its lobby area was fantastic on its own, so it was better not to try to improve it. Add a good subject and some nice furniture and you’ve got a great portrait. I shot one more photo on Dec. 30 that might well make the list of my favorite photos of 2013, but unfortunately it hasn’t been published yet. I may include it in a future blog post or, depending on what else I shoot this year, it may end up in my favorites of 2014. Happy new year! Best wishes for the holidays and the new year, from the studios of Matthew Ginn, photographer. Energy production—or, more accurately, its conversion from one form to another—is one of the most fundamental activities that humans undertake. Over the years I have photographed a variety of assignments related to electric generation, from coal-fired power plants to hydro dam demolitions to solar array construction. 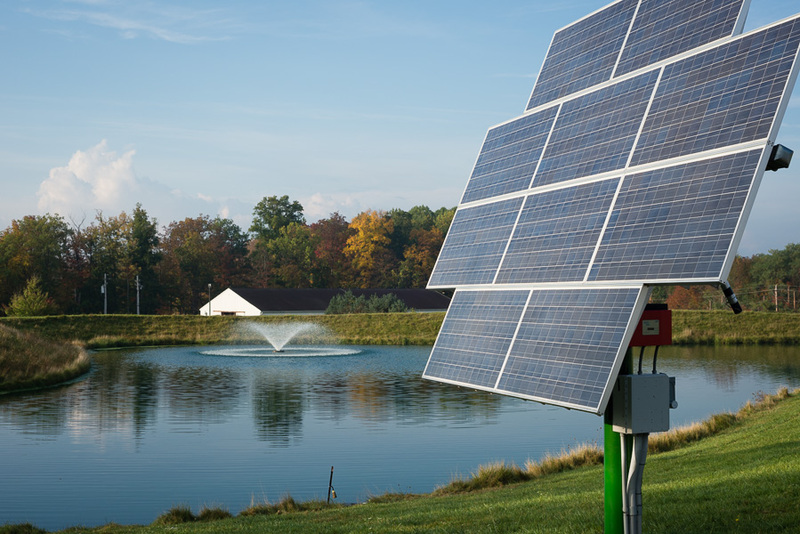 In the past, electric power generation generally meant large-scale, centralized utilities producing megawatts of power to feed thousands of homes and businesses. 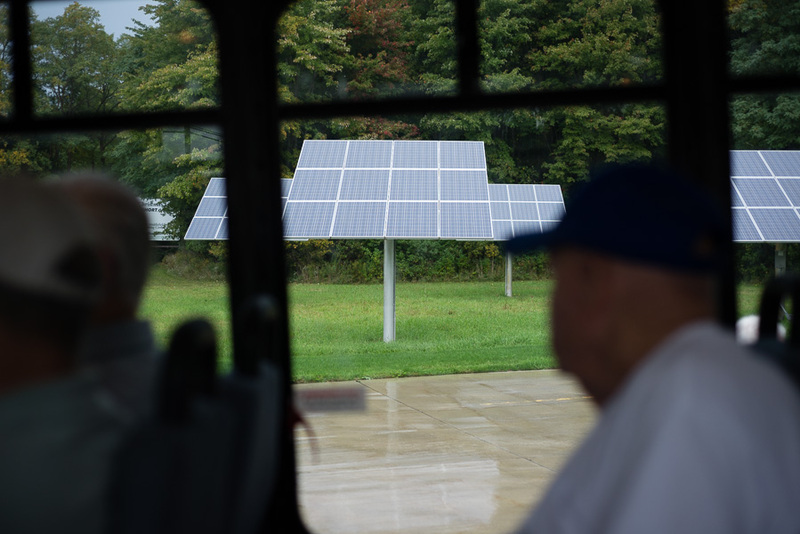 One of the emerging trends, though, is small, distributed generation serving nearby needs first, and then supplying excess power to the grid. 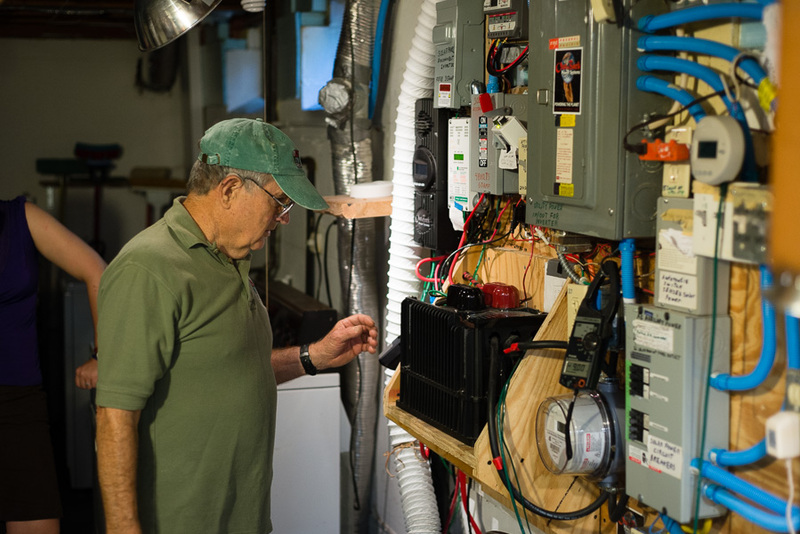 In many cases these systems protect the homeowners in case of a blackout. 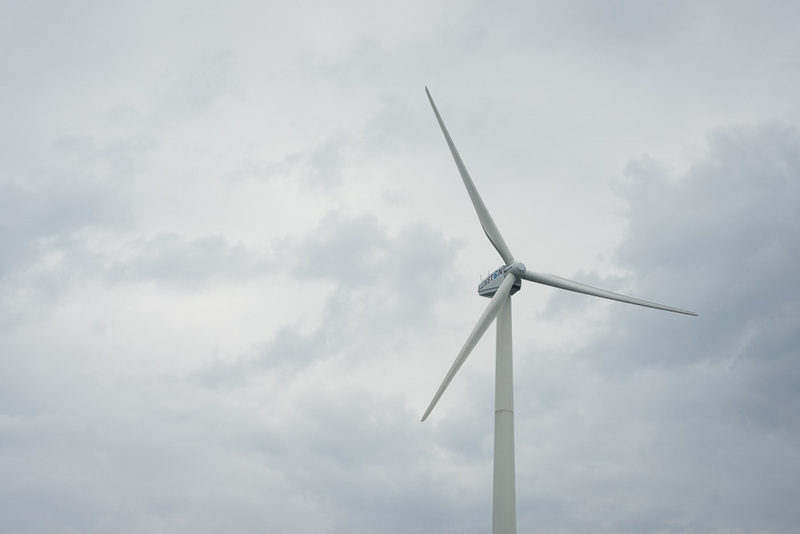 More importantly, though, since these “green energy” systems harness wind or solar power, they also reduce the production of greenhouse gases like CO2. 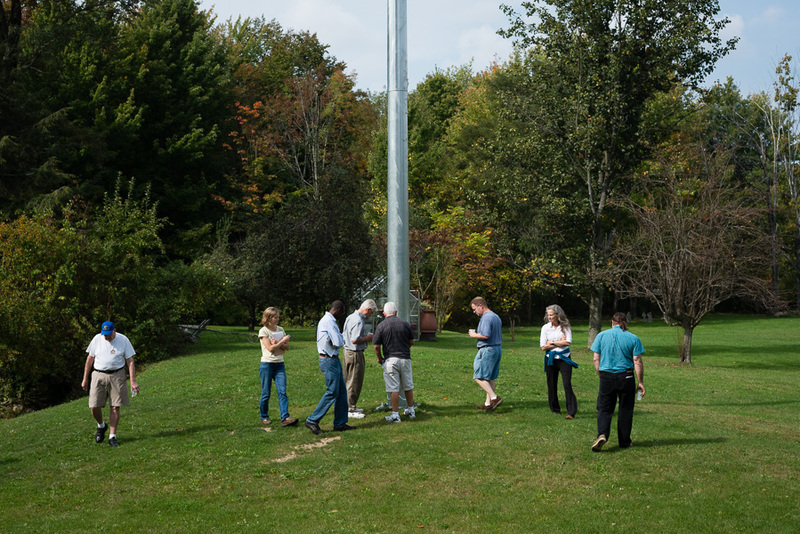 I recently had the opportunity to visit and photograph a number of installations at homes, public institutions and businesses in northeastern Ohio. Here is a bit of what I saw. Most of my work these days is editorial portraiture: pictures of individuals or small groups, generally in their own environment. These are typically commissioned by a magazine or newspaper to illustrate a story about a noteworthy person or the primary source of a story about some other topic. That’s great, I love that kind of work. But what do you do when the subject of the story is out of town? For a writer, the problem can usually be solved by arranging a telephone interview. For a photographer, that’s when my background in photojournalism comes into play. For a recent story about the new Cleveland Velodrome for Cleveland Business Connects, club president Brett Davis was on an extended business trip from the time I got the assignment until after the deadline. So, instead of photographing Brett, I put together a photo essay of cyclists learning how to race at the track. The readers (and I) don’t know what Brett looks like, but they get a good idea of what it’s like to spend an evening at the track. Unfortunately the magazine only had room for one photo (plus a thumbnail in the table of contents), but you can see the full essay in my velodrome portfolio. 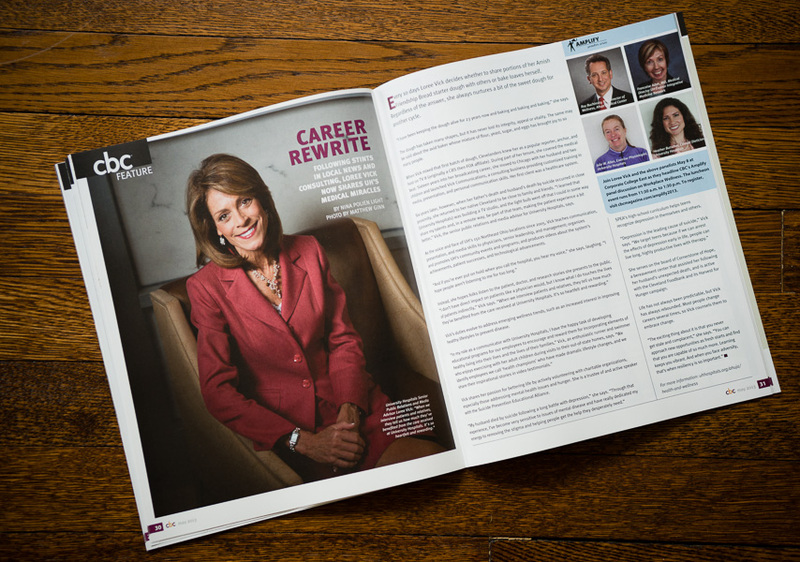 The May 2013 issue of Cleveland Business Connects magazine was a huge one for me—three stories (one a hold-over from April), including the cover. The cover shot was a last-minute addition to my schedule. But you get an email asking if you want to shoot magazine. Um, let me think about that a second … yeah! This is how it went: email on Friday afternoon, can I shoot next Tuesday? Oh, and by the way, the magazine’s offices will be closed on Monday too. It was a busy week, but as luck would have it, Tuesday afternoon was free. The magazine’s theme for the month was healthcare, so the subject was Loree Vick, spokesperson for University Hospitals. We made arrangements between all the parties (magazine editor, art director, hospital PR, subject, and photographer) by email that weekend, and chose the UH Ahuja Medical Center in Beachwood for the shoot. The hospital is just two or three years old, so it looks great. CBC had done a cover shoot there about a year ago, though, so we had to be careful not to duplicate that view. This might be an appropriate point to note that shooting a magazine cover is different than just making a nice portrait. The main difference is composition. A cover shot is going to be vertical, obviously, but you also have to leave room for the magazine title and all the text and other information that goes on the cover as well. Knowing that CBC magazine’s cover “hardware” runs mostly on the left, I planned to pose Loree farther to the right of the frame than I would have for a normal portrait. I arrived early to scout the location. With the help of the hospital’s PR representative, I chose two locations to shoot in: looking out from the second floor atrium for the cover shot, and a small waiting area behind the reception desk for the inside shot. Loree arrived right on time, and discussed wardrobe with the art director while I made a few test shots. They decided what she was wearing was perfect, so we got right to work. Loree was great to work with. As a former television news anchor, she’s used to being in front of the camera and, of course, naturally photogenic. She gave me a variety of poses and flashed her million-dollar smile. Five minutes later, we had the cover shot nailed down and she graciously helped move the equipment downstairs. Having pre-planned the second shot, it only took 15 minutes to move and set up. Loree sat down for another 5 or 6 minutes, and we had the inside shot. I packed up, and went back to the office to start the post-production. 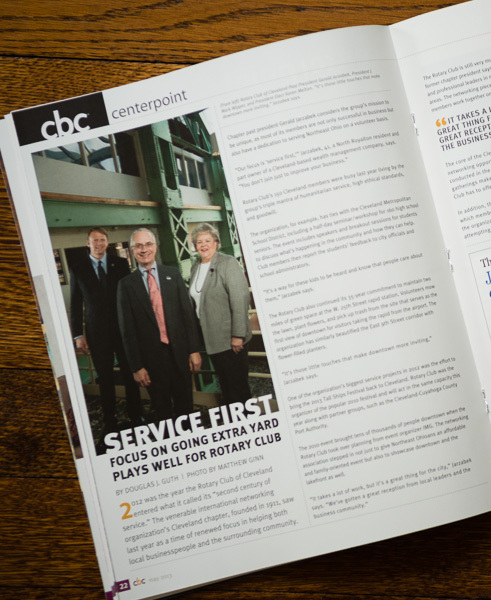 The other two stories I photographed for the issue were pieces on the Rotary Club of Cleveland and Sam Erickson, a planner for the Greater Cleveland Regional Transportation Authority (RTA). The former was the first commission I received in Cleveland. I met Mark Wipper (president), Jerry Jarzabek (past president) and Karen Melton (president elect) at the Nautica Complex on the Flats right after the monthly Rotary Club meeting. Like most places in Cleveland, the Nautica Complex is new to me, but I love the challenge of quickly finding locations in places I’ve never been before. 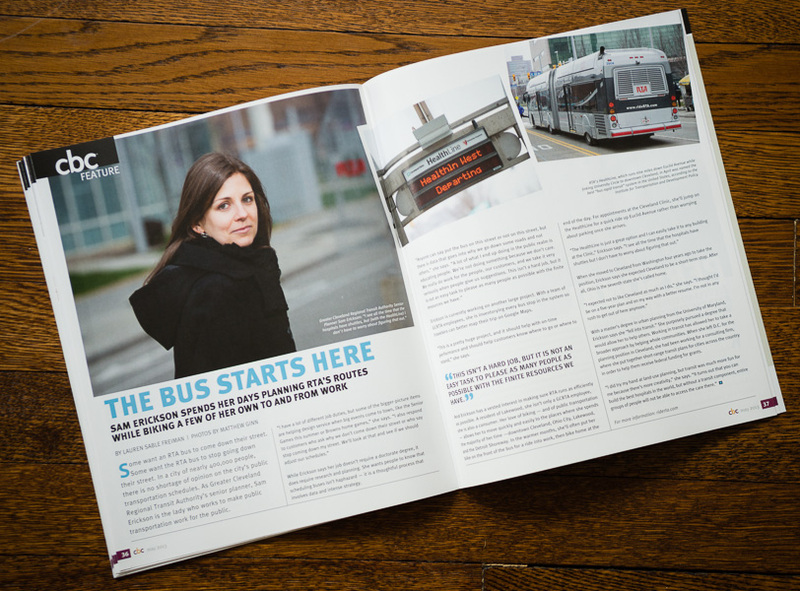 For the RTA story, Sam and I connected at the East 93rd Street station of the award-winning HealthLine bus rapid transit system. The weather was less than ideal for that shoot—the temperature suddenly dropped about 20°F as I arrived—but Sam was prepared and we got the shots we needed before she hopped on the bus back to work.